Because of the very strong anti-GMO-movement and anti-GMO stance in Germany, 87% of Germans are against GMOs in agriculture and food production. 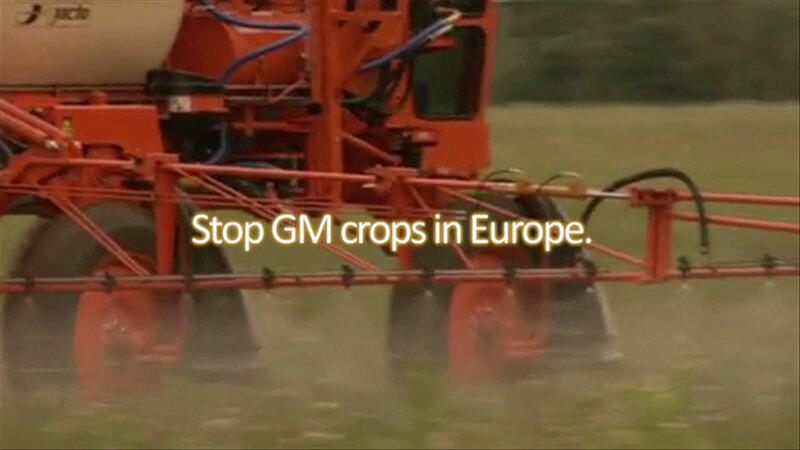 In 2012 there were no commercial GM crops grown in Germany, and this will remain the case in 2013. Monsanto´s Mon 810 maize has been banned since 2009 and BASF´s Amflora potato was an economic disaster from the very beginning – authorised in 2010 for cultivation, it was grown by just one farmer on 15 hectares in 2010 and 2 hectares in 2011, and then never again. In addition, the number of field trials is continuously dropping: from 67,8 hectares in 2007 (peak) to 0,8 hectares in 2012 to zero in 2013. In Germany, GMO-free regions are founded by conventional and organic farmers. By signing contracts – voluntary self-obligations – they express their commitment not to grow genetically modified plants on their farmland. Additionally, half of the contracts exclude the use of GMO-free feed. The first GMO-free region was founded in 2003. By March 2013 more than 30,000 farmers on more than 1.1 million hectares of farmland were organised in 211 GMO-free regions and initiatives. In other words: More than 10% of German farmland is declared GMO-free and approximately 9% of all German farmers confess their anti-GMO attitude. In Germany, landowners such as municipalities, towns and counties can forbid the use of genetically modified plants on their farmland. They oblige farmers, who lease publicly owned land, to exclude GMOs by legally binding contracts. In 1999 Munich was the first town, which excluded GM plants from its properties. By March 2013 319 municipalities followed this example. By prohibiting GMOs on their land the municipalities stand in for regional and traditional agriculture. Farmers often follow GMO-free municipalities by founding GMO-free regions and vice versa. 10 out of 16 German Federal States have declared their anti-GMO attitude. This is a strong political signal to the central German government which is very much in favour of GMOs. And it is even stronger because nearly all parties – Conservatives, Socialists and Greens – have signed coalition contracts with a corresponding passage. Three Federal States exclude GMO cultivation on publicly owned land; five are members in the European GMO-free regions governmental network.